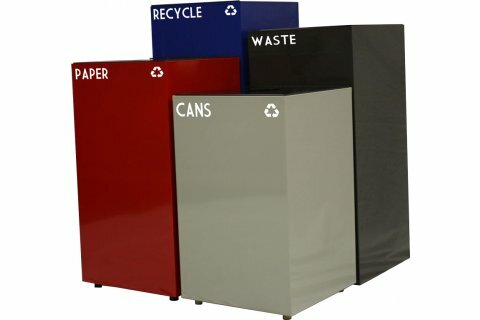 Going green takes on a whole new look with GeoCube recycling containers from Witt Industries. They provide the perfect combination of aesthetics, durability and convenient features. 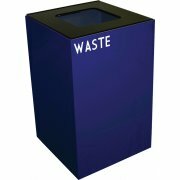 The GeoCube series features a cube shape that adds a great look to any educational or corporate setting. Heavy gauge steel construction is made to withstand constant daily use and is fireproof for enhanced safety. 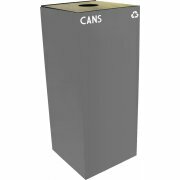 Customized lid options with matching decals make sorting and servicing a cinch. 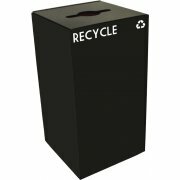 Available in a variety of colors and sizes, GeoCube recycling containers help you promote green awareness in style.